Winter riding can be tricky (staying warm and dry) when the temperatures are between 35 and 50 degrees. Layering is so important. I like to layer starting with marino wool, adding a thicker long sleeve cycling jersey over the base layer and then adding a good breathable wind jacket on top. Making sure all of these layers breath well, when hitting the rollers. Keep your head warm. Under my Rudy Project helmet I like to wear a cap or some sort of protection like Buff headwear. Including covering your eyes from the chilly wind. 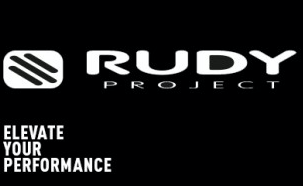 I also like all of the eyewear Rudy Project has to offer. Hands and feet are hard for me to keep warm. If I know it will be under 40 degrees I tend to wear cycling mittens and use a thin pair of gloves inside the mitten. For feet? I prefer wool socks covered in a pair of pantyhose. Yup, you read that correctly. They keep my feet toasty and the wool absorbs any sweat and breaths. I also top off the shoes with a good pair of winter cycling booties. Have fun, stay warm and dress for the conditions. Winter Base Building for Fitness. It’s Winter. Build your fitness base now by shoveling, skiing, hiking, snowshoeing, riding inside or out. Move that body! Aerobic workouts increase your heart stroke volume, build capillary density and muscular adaptations, that improve oxygen transportation to your muscles and keep your fitness from fading away. The older we get the easier it is to lose our fitness in just a few weeks. Building a good foundation (also called your Base) now, for endurance events this summer, is very important. More capillaries (density) equals more blood and oxygen to your working muscles equals more endurance and fitness later. printed in Article for Bici da montagna.